Lan Hồ Điệp là giống lan thuộc họ phụ Vandeae. Tên gọi phong lan Phalaenopsis bắt nguồn từ tiếng Hi Lạp trong đó Phalaina có nghĩa là "con bướm" và Opsis có nghĩa là "giống như". Trên thế giới, giống Lan Hồ Điệp có trên 70 loài và ngày nay được lai tạo rất nhiều. Chi Lan hồ điệp (danh pháp: Phalaenopsis Blume (1825)), viết tắt là Phal trong thương mại. Đây là một trong những chi hoa lan phổ biến nhất trong thương mại với việc phát triển nhiều loài lai nhân tạo. They are native throughout southeast Asia from the Himalayan mountains to the islands of Polillo and Palawan of the Philippines and northern Australia. Orchid Island off Taiwan is named after this orchid. Most are epiphytic shade plants; a few are lithophytes. In the wild they are typically found below the canopies of moist and humid lowland forests, protected against direct sunlight, but equally in seasonally dry or cool environments. The species have adapted individually to these three habitats. 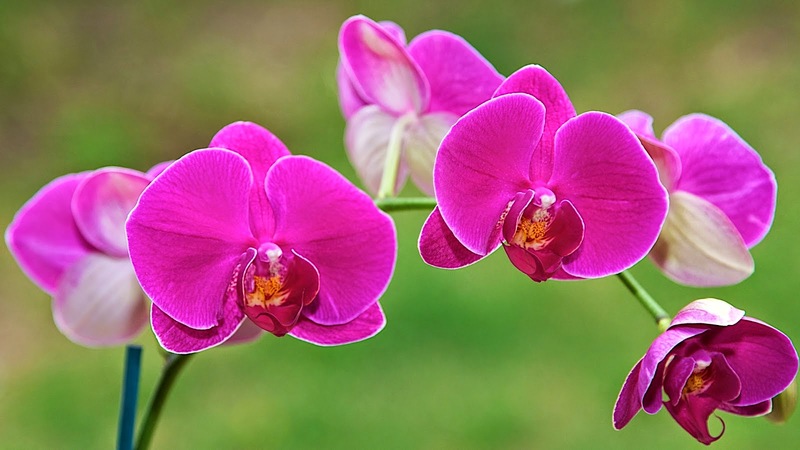 The Phalaenopsis or 'Moth Orchid' is the most common orchid due to its ease of production and the availability of blooming plants year-round. Phals are easily grown in the home and stay in bloom for a very long time. A mature phal will be in bloom much of the year with graceful inflorescences loaded with good-sized blooms. From pure whites to unusual spotted harlequins, Phalaenopsis are sure to please. Unlike many other orchids, Phalaenopsis can be repotted anytime, though it is usually best to do so when not in bloom. The culture of Phalaenopsis involves windowsill light and consistent moisture. Phals do very well as houseplants and will grow and flower in a moderately bright windowsill. Each year a Phalaenopsis will grow one or two new leaves. Once the growth phase is complete, usually in the fall, a bloom spike will emerge from the stem beneath the second or third leaf from the top. Sometimes we have to help a Phalaenopsis that is grown in a consistently warm home to realize it is fall by allowing it to experience lower temperatures (60's) for several nights in order to set a bloom spike. Phalaenopsis bloom in the late winter through the spring. In late June and July the Phalaenopsis in our collection finally lose their blooms, some will remain in bloom for awhile longer. The ideal time to repot orchids is when they go out of bloom and Phalaenopsis is no exception. Once it has finished blooming the orchid will focus on growing new roots and leaves in preparation for new flower spikes.